Buying from our website is fast, easy and safe. Pay with a credit card, or using PayPal. We guarantee same-day dispatch for all online orders placed by 2pm on our free next-day delivery service (depending on stock availability). Please note that orders placed on a Friday will be delivered on Monday, orders at the weekend will be delivered on Tuesday. Orders over £50: Free delivery (England, Wales and most of Scotland). Orders under £50: £8 carriage charge (automatically added to your order). 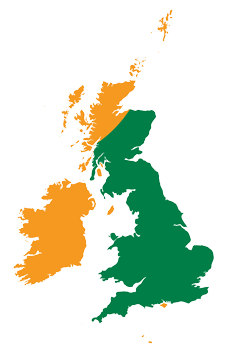 We also deliver to Northern Ireland, Eire and the outlying areas of UK (Highlands & Islands). Any additional cost will be automatically calculated and advised at the time of ordering. Delivery in these areas usually takes 3-4 days. Please see map on the right hand side of this page. Orders over 250kg: Delivery by haulier in palletised loads or on one of our own vans. Orders under 250kg: Delivery by one of our own vans or contract carrier. All deliveries are usually made next working day. 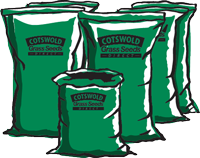 Grass seed is a zero rated product, however VAT is charged on individual wildflowers and wildflower mixes that do not contain grass. At certain times of the year some seed varieties may be out of stock. If this occurs we will make contact to inform you of any delay or amendment.